Graeme Thomson has made his name as an author of biographies of artists such as Johnny Cash, Kate Bush, Elvis Costello, and Willie Nelson. 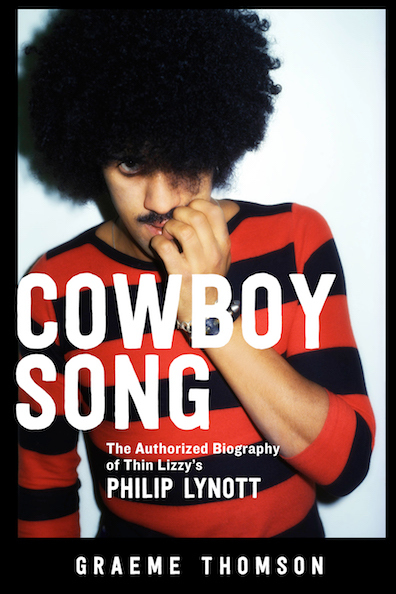 His latest tackles the life and career of Thin Lizzy's Philip Lynott. For a short time in the '70s, Thin Lizzy was king, rock and roll heroes of hard-hitting songs like "Jailbreak," "The Boys Are Back in Town," and "Johnny," and Phil Lynott was the band's charismatic frontman. But behind the big hair and cocky rock star poses was a troubled soul. Thomson ably covers Lynott's early musical years, before Thin Lizzy had its big breakout hits, "Whiskey in the Jar" and later "The Boys are Back in Town." He interviews many of the main players of the time, and adroitly details how Lynott overcame a certain shyness to develop what would become his signature style. The hit-filled years are chronicled as well, but the high times for Lynott and company were short lived.